I'm excited to announce that Audiophile Review has a new irregular feature called "Industry Voices" which we'll post on Thursdays. There we'll host opinion pieces written by folks within the high performance audio industry about technical and theoretical issues having to do with sound reproduction. The first question people usually ask when an audio salesman suggests premium cables to go along with new electronics is "Why? What difference can it make?" and then "Aren't all wires pretty much the same?" In fact, at the most basic level, all cables really ARE the same: All cables have at least two conductors ― one to carry signal from the signal source to its destination (the "load"), and one to carry it back to the source and complete the circuit. In all cables the two conductors (the "going" and "coming" pair) are electrically insulated from each other to prevent them from touching and creating "short" circuits; and, as long as the circuit is intact and the right connectors or adapters are used, the truth is that any cable will work for all cable purposes. Speaker cables CAN be used as interconnects; interconnects CAN be used as speaker cables; audio cables CAN be used for video; and video cables CAN be used for audio or digital. The difference is not that the wrong cable won't work at all, but that the right cable will work better! Better performance is the reason for using better cables. So what constitutes the right cable? In fact, although they look simple, cables are among the most complex parts of any audio, video or Home Theater system. What kind of wire - copper, silver, alloy, carbon fiber and "doped" plastic have all been tried - is used for the conductors will affect the performance. So will the thickness of the conductor material and how much of it is used. So will whether the cable is stranded and, if so, how many strands are used per conductor. 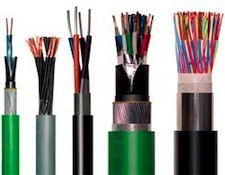 The insulation that is used for the conductor groups and for the individual wires forming them, and the jacket over the entire cable assembly; are all crucial elements to the performance of the cable. As is how, and how thickly, insulation is applied. 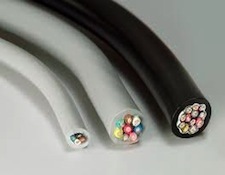 Shielding, if a cable has any, (For most speaker cable applications, and for many High End audio interconnects, shielding is not used. ); also has an effect on performance. A cable's basic construction geometry; the kind and quality of the connectors used, and whether the connectors are individually hand-soldered (hopefully using premium alloy solders) or molded-on, thousands at a time, by mass production machinery, has an impact on a cables performance as well. The classic four concerns for the old-school cable designer used to be just capacitance, inductance, resistance, and characteristic impedance but in fact, as time has passed and designers and manufacturers have learned more, it has become increasingly apparent that cables are ― each in itself, and all working together ― very complex systems, and that such previously unknown things as capacitive discharge effects and interactive field theory, are crucial to getting the very highest performance from an audio system's cabling, and to carry that reasoning to its logical conclusion, from the system as a whole. It's not sufficient just to have properly designed and selected audio components. Those components must all be connected together to form an audio system. And as long as the cabling that makes the necessary connections can either, by acting as a resistor, a semiconductor, or a filter, effect losses, or can, by introducing capacitive discharge artifacts, actually add to the transmitted signal, the system will never be able to perform to its full potential. The truth is that cables are the oddest and most unique elements of a system's architecture: It you ask The Man On The Street what cables are supposed to do, odds are he'll tell you that they're not supposed to do anything at all ― just carry signal from point "A" to point "B" without changing it in any way. And the fact is that he'd be absolutely right. A theoretically perfect cable would do nothing whatsoever to the signal except to carry it to where it's supposed to go. The problem is that getting a cable to do nothing at all is fiendishly difficult; can be wildly expensive; and, even with the best of today's materials and technology, may not be fully possible. To even approach the theoretical limits of cable design and produce a cable which can allow today's very best systems to perform to nearly their full capability requires the finest of materials, many of which are rare and all of which are expensive; requires multiple manufacturing steps, each of which must be rigorously monitored and controlled throughout the manufacturing process; and, because a level of performance is sought far beyond the ordinary, requires a level of technical knowledge and manufacturing expertise that is also far beyond what is needed to produce cables that are just "good enough". When all of these things come together, though, the system can step aside, leaving nothing but the music. That's why you need better cables, and that's why so many satisfied audiophiles and Home Theater aficionados buy them and willingly pay whatever they cost.